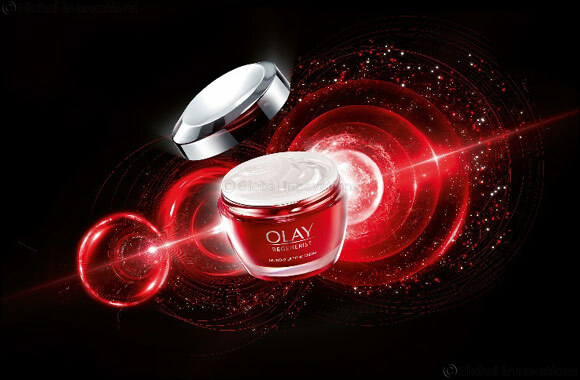 Dubai, UAE, April 3, 2018: Olay introduces a re-engineered formula of its best-selling anti-aging moisturizer, Olay Regenerist Cream, designed to visibly firm skin and reduce lines and wrinkles. DNA or Olay? New research from Olay reveals that you don’t need good genes to have exceptionally youthful looking skin – it’s how you treat your skin that matters the most1. Informed by this discovery, Olay has re-engineered its Regenerist formulas to include scientifically proven ingredients that contribute to a visibly younger skin age, to help every woman’s skin to look and behave more like the 8%, no matter what their DNA. Olay Regenerist is about delivering real results without resorting to drastic measures and it has taken decades of research by Olay’s scientists to identify the best-performing and most proven ingredients. Olay was the first mass skincare brand to use the peptide PAL-KTTKS the key ingredient in Olay Regenerist’s Amino-Peptides complex. PAL-KTTKS is many times more expensive than Platinum. Olay’s PAL-KTTKS peptide is effective at reducing the appearance of lines and wrinkles but is also gentle on the skin. With the addition of new carob seed extract, Olay Regenerist Cream provides hydration and renewal benefits to firm and lift, resulting in younger-looking skin. Carob seed extract, when combined with other key anti-aging ingredients, was shown through in vitro testing to help accelerate the recovery of aged skin, stimulate collagen and hyaluron production, and aid cell regeneration. Olay Regenerist Cream also contains hyaluronic acid with its water-attracting properties, it draws water into the skin to keep it hydrated and supple and functioning effectively as a barrier.